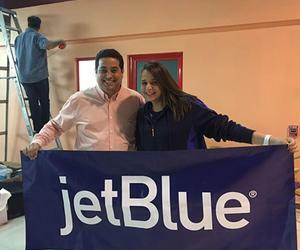 The Abel Santamaria international airport, located in the central Cuban province of Villa Clara, is ready to receive the JetBlue Airbus A-320 today, the first scheduled flight for the US to Cuba in more than five decades. Personnel at the airport had received intensive training to face the increase of operations that come with the restart of US regular flights and more coming for all over the world. The Abel Santa Maria received its first international flight on December 23, 2001, and today is the third largest in Cuba in terms of passengers, trailing the Havana´s José Marti, and Varadero´s Juan Gualberto Gomez.